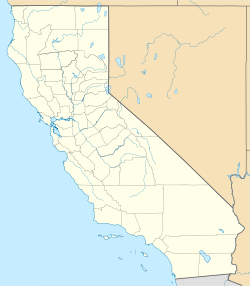 Cedar Glen, California is an unincorporated community in located in the San Bernardino National Forest resort area of San Bernardino County immediately east of Lake Arrowhead. The town's ZIP Code is 92321 and it lies entirely within area code 909. The nearest highway is California State Highway 173 which bisects Cedar Glen and passes through Lake Arrowhead. As of the census of 2000, there were 552 people and 590 housing units. The racial makeup of the CDP was 86.6% White, <0.1% African American, <0.1% Native American, 9.2% Asian, 4.2% Pacific Islander, <0.1% from other races, and <0.1% from two or more races. Hispanic or Latino of any race were <0.1% of the population. Comedian Jon Dore resides in Cedar Glen. Cedar Glen is served by the Rim of the World Unified School District. In the California State Legislature, Cedar Glen is in the 23rd Senate District, represented by Republican Mike Morrell, and in the 33rd Assembly District, represented by Republican Jay Obernolte. In the United States House of Representatives, Cedar Glen is in California's 8th congressional district, represented by Republican Paul Cook. Precipitation at the Cedar Glen Observatory. ^ "Average Weather for Lake Arrowhead, CA - Temperature and Precipitation". The Weather Channel. Retrieved 2014-06-08.